Welcome to Movassaghi Plastic Surgery & Ziba Medical Spa. 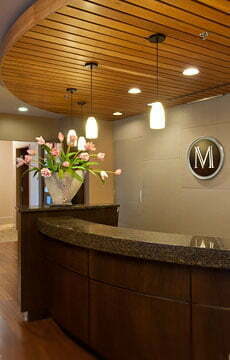 Since 2002, we have been proudly serving cosmetic and reconstructive plastic surgery patients here in Eugene, Oregon. Kiya Movassaghi, MD, FACS and our staff strive to provide a relaxing and caring environment from the moment you step through our doors. Our plastic surgery offices provide a comfortable and private setting for your consultations before surgery as well as your follow-up visits with Dr. Movassaghi. In addition to plastic surgery patient consultations, Dr. Movassaghi performs Botox & filler injections and other non-surgical cosmetic procedures in the safety and privacy of our patient care rooms. Located within the Garden Way Medical Clinic complex, our office is convenient for patients traveling from throughout the greater Eugene area. Our full-service, state-of-the-art Ziba medical spa is also located within our offices. Ziba is staffed by our licensed aesthetic clinical and nursing staff, and we specialize in medical-grade treatments that are only available through a licensed physician’s practice. At Ziba, you can relax and enjoy a range of facials, laser skin treatments, and non-surgical body treatments such as CoolSculpting and Exilis, knowing that you are in the hands of trained, experienced skincare professionals. Learn more about the patient experience here at Movassaghi Plastic Surgery from one our our actual patients. Sharon shares why she came to Dr. Movassaghi, and why she’s happy with her choice.